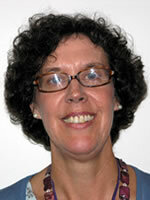 Ellen Beyer is an instructor at Louisiana State University Health Sciences Center School of Nursing. She received her Diploma in Nursing from New England Baptist Hospital School of Nursing, Boston MA, undergraduate Bachelor of Science in Nursing degree from Louisiana State University Medical Center, a Master of Business Administration from the University of New Orleans, a Master of Nursing in Community/Public Health from Louisiana State University Health Sciences Center, and a Doctor of Nursing Practice with a focus on Public Health Nurse Leader from University of Massachusetts Amherst, College of Nursing. Dr. Beyer is a certified Clinical Nurse Specialist in Public/Community Health by the American Nurses Credentialing Center and is an American Heart Association basic life support instructor. She currently serves as an instructor in NURS 4357 Population Focused Nursing Theory, NURS 4358 Population Focused Nursing Practicum, and NURS 4346 Gerontology. She is the past Administrative Director of Reach Out and Read LA through the Spirit of Charity Foundation (formerly the MCLF) form 1995-2017). Dr. Beyer has experience as a clinical nurse in Coronary Care Unit, Medical Surgical nursing, and as a patient education coordinator. She previously served as the coordinator of the Greater New Orleans Immunization Network and the Louisiana Immunization Network for Kids Statewide. In addition, she has six years of experience in group practice management with American Medical International and Tulane University hospital and Clinic. She has received many literacy-related grant awards and was awarded the DAISY Faculty Award at Louisiana State University Health Sciences Center School of Nursing, the Dean’s Clinical Scholar Award from the University of Massachusetts Amherst, College of Nursing, and Nursing Educator of the Year from the Louisiana Nurses Foundation.